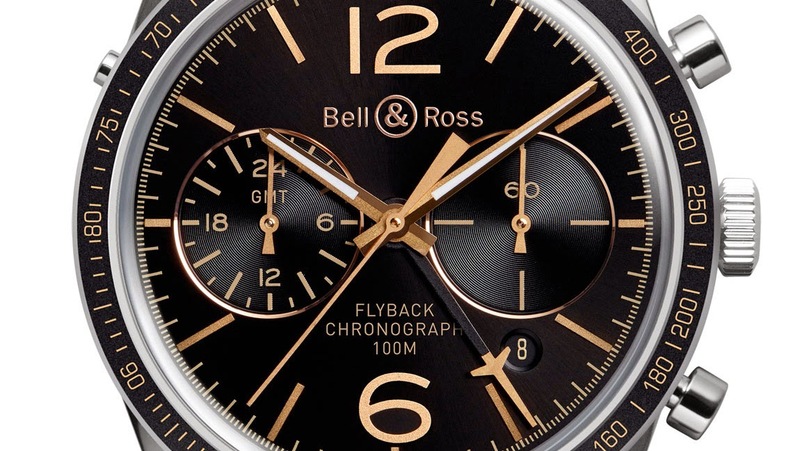 The new Bell & Ross BR 126 Sport Heritage GMT & Flyback is part of the Vintage collection which is inspired to timepieces of the past. 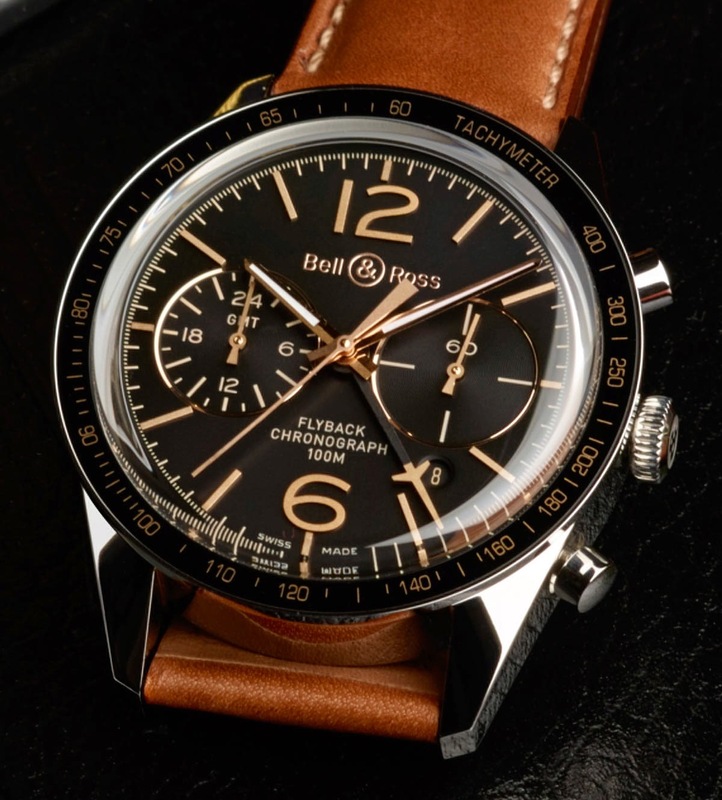 Designed respecting professional specifications, this aviation chronograph is fitted with a Flyback, which optimises the speed in the measurements of several successive times, and a GMT function. The pusher at 2 o'clock starts and stops the chronograph. The wearer can reset and instantly restart the measurement by simply pressing and releasing the pusher at 4 o’clock while the chronograph is activated. Instead, pressing this pusher when the chronograph is stopped will simply reset the measurement. 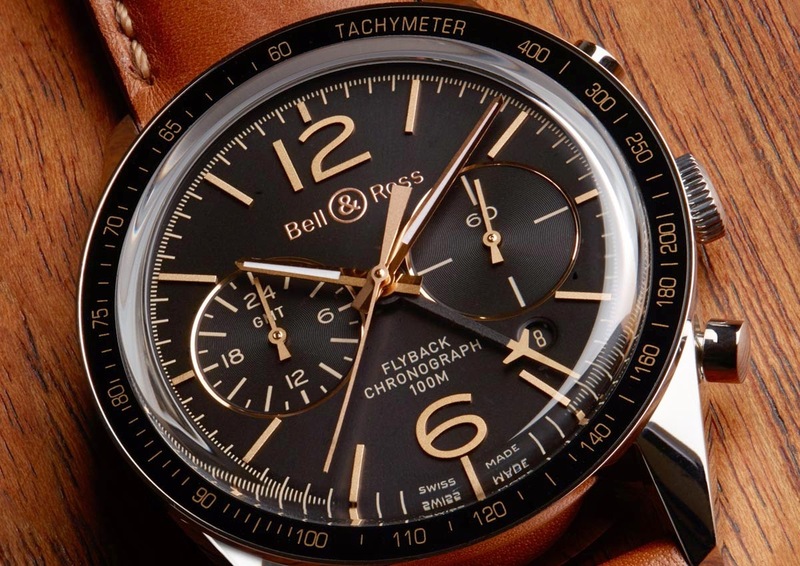 The chronograph seconds and minutes are indicated by two centre hands with the minute hand being easily recognisable for the tip reminding the shape of an airplane. The BR 126 Sport Heritage GMT & Flyback also features a GMT function displaying a second time zone in 24-hour format in the subdial at 9 o'clock. The time zone can be adjusted using the small button at 10 o'clock. The continuous seconds are positioned at 3 o'clock. The black dial has gold-plated metal applique numerals and index with skeletonised golden hours and minutes hands filled with Super-LumiNova. The brushed steel case has a diameter of 43 mm and features an immovable black bezel with aluminium ring. It offers a water resistance of 100 metros. The ETA-based automatic movement features a special module for the flyback function produced by the complications manufacture Dubois Depraz. 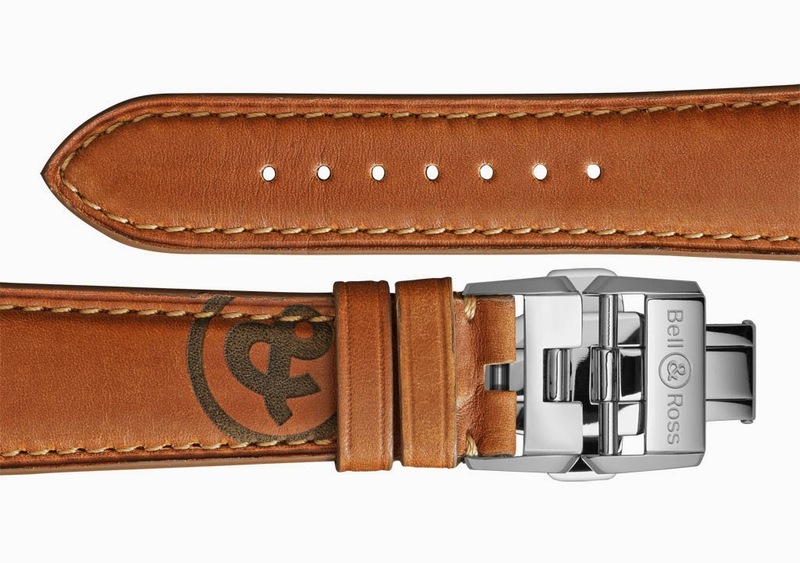 The Bell & Ross BR 126 Sport Heritage GMT & Flyback is a limited edition of 500 pieces with a retail price of Euro 5,900 and is completed by a calfskin strap with hot stamping secured by a steel folding buckle. The new Bell & Ross BR 126 Sport Heritage GMT & Flyback is part of the Vintage collection which is inspired to timepieces of the past. Designed respecting professional specifications, this aviation chronograph is fitted with a Flyback, which optimises the speed in the measurements of several successive times, and a GMT function. 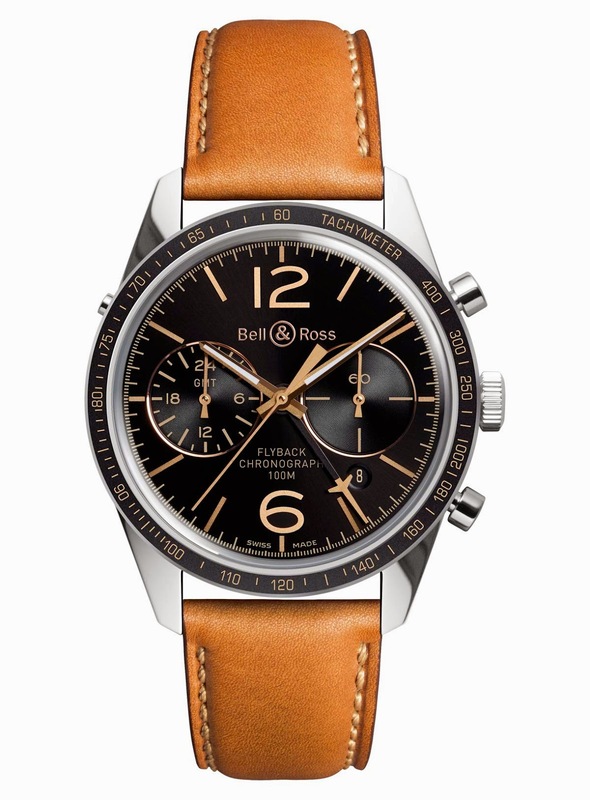 The Bell & Ross BR 126 Sport Heritage GMT & Flyback is a limited edition of 500 pieces with a retail price of Euro 5,900.